Tune in for the Utah Genealogical Association's Virtual Chapter's free online webinar: FamilySearch Wiki, Exploring its Treasures with Wilma Atkins. To attend the presentation, visit http://www.virtual.ugagenealogy.org and, on the date and time of the meeting, click on the UGA logo. Enter the presentation as a guest. We are pleased to announce that the LIVE meeting will be open to the public! Share, tweet & spread the word! This meeting will be recorded and placed in the members area of the website (http://www.ugagenealogy.org) where current members have access to all of the past meetings! 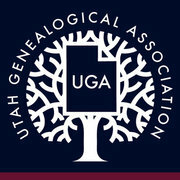 The Utah Genealogical Association is pleased to present a monthly "Virtual Chapter" meeting in which invited guests make presentations on topics of current interest in the field of family history and genealogy. Based upon demand to participate in these monthly presentations, the UGA Board of Directors recently voted to make the live presentations available to the public without the need of logging into the Member's Area. As in the past, however, Archived Presentations are ONLY available in the Member's Area.